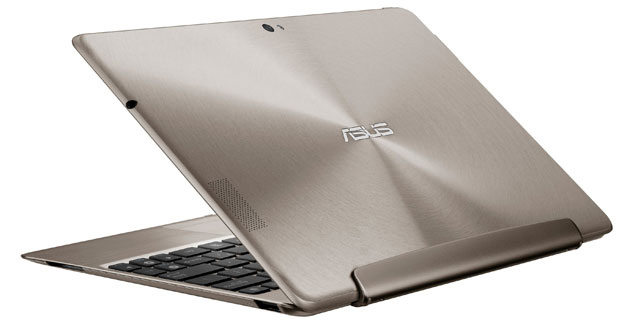 Asus’ Eee Pad Transformer Prime is, at the time of writing, the most powerful tablet on the planet. It’s beyond fast and offers virtually every function that a user could demand from an ultra mobile device. This week’s pretender to the Transformer Prime’s crown is Lenovo’s IdeaPad S2, an Android powered tablet that promises to offer all of the company’s computing knowledge in a very small, slick package. But will it be enough to wrest the mantel from the mighty Prime? Let’s find out. Asus’ Eee Pad Transformer Prime is a beast. It packs a quad-core href=”http://en.wikipedia.org/wiki/Central_processing_unit” rel=”wikipedia” target=”_blank” title=”Central processing unit”>CPU, clocked at 1.3GHz, a ULP href=”http://en.wikipedia.org/wiki/GeForce” rel=”wikipedia” target=”_blank” title=”GeForce”>GeForce GPU, which is a dab hand at running all the latest top-end gaming titles, and 1GB RAM. The tablet comes in both 32GB and 64GB models and supports Micro SD cards up to 32GB in capacity. Anything missing that the average user might want? No, we didn’t think so. Lenovo’s IdeaPad S2 is powered by a dual-core href=”http://en.wikipedia.org/wiki/Snapdragon_%28System_on_Chip%29″ rel=”wikipedia” target=”_blank” title=”Snapdragon (System on Chip)”>Snapdragon CPU clocked at 1.5GHz and offers an Adreno 225 GPU, which is more than capable enough to keep up with anything it’s competitor offers. The device is fitted with 1GB RAM too, so it will multi-task with the best of them and will ship in 16GB, 32GB and 64GB models, giving users a much broader range of choice, though the device will offer support for MicroSD if you run out of space on your SSD. It’s a close run thing, but Lenovo’s IdeaPad just can’t face down the immensely powerful quad-core architecture on offer in the Asus, which hands the device this round. The Asus Eee Pad Transformer Prime boasts a 10.1-inch Super IPS+ LCD screen which is very responsive, and offers beautiful visuals and viewing angles. The display operates at a resolution of 1280×800 pixels and has a pixel density of 149PPI, which seems to be the average for devices of this size. The Lenovo IdeaPad S2 offers an LED-backlit 10.1-inch IPS screen, operating at 1280 x 800 too, and also matches the Transformer Prime in pixel density, at 149PPI. Visuals look bright and sharp on the device, and it seems to share the pleasing viewing angles of its contemporary too, which is no mean feat. Lenovo’s IdeaPad S2 features an 8-megapixel primary camera with autofocus and LED flash and also has a 1.3-megapixel secondary snapper for video calling. We can’t comment on the performance at this stage, but we would expect the device to hold its own. The Asus Eee Pad Transformer Prime has an excellent 8-megapixel primary camera, which is bolstered by an LED flash, autofocus and geo-tagging. It also shoots video in 1080P. The Transformer Prime also features a secondary 1.2-megapixel camera for video conferencing. The Prime performs well in the photographic stakes, with both the primary and secondary sensors doing a more than adequate job and in the right light we found images to be more than good enough to print. Both tablets run on Google’s Android OS. The Asus Eee Pad Transformer Prime operates on version 3.2 of the platform, otherwise known as Honeycomb, though Asus have confirmed that the device will be upgradeable to version 4.0, AKA Ice Cream Sandwich. Lenovo’s IdeaPad S2 ships with Ice Cream Sandwich however, and the device is the better for it. The newest version of the hugely popular OS features plenty of tweaks, upgrades and improvements, including a spiffy new font, new widgets and a re-designed UI and updated core applications. That said, Honeycomb isn’t a million miles behind, and of course with both flavours of OS you get access to the 400,000-odd applications in the Android Market, which will allow you to do as much or as little as you like with your device. Both devices also offer custom UI overlays, with the IdeaPad S2 running Lenovo’s ‘Mondrian’ user interface while the Transformer Prime has Asus’ WaveShare UI. Both pieces of software offer the usual custom widgets, social networking functionality and visual tweaks, but we’re of the belief that the proprietary nature of the ‘improvements’ detracts from the Android experience, so we weren’t overly impressed with either. The Asus Eee Pad Transformer Prime comes equipped with Polaris Office Editor out of the box and also offers micro HDMI support, which will allow you to view your pictures and videos on your big-screen, and support for the usual audio and video formats (sadly no native DivX support though). Sound quality on the tablet is good, but the inclusion of SRS enhancement improves output on the whole. The Transformer Prime will give you up to 12 hours usage on a single charge. The Lenovo IdeaPad S2 features Kernel-level security, which aims to keep your personal data safe from the phishermen, hackers and email spoofers of this world and also offers an SDHC reader and up to 20 hours battery life when used with the optional keyboard dock. Without the dock you can expect to get up to 12 hours from the device. Asus’ all-singing, all-dancing Eee Pad Transformer Prime has done it again! But this time the margin was much smaller. Lenovo’s IdeaPad S2 is shaping up to be a great piece of kit, with a great deal of potential, but it just wasn’t enough to get one over on the mighty Transformer Prime on the day. Pricing will be pivotal in the success of the IdeaPad S2, and we’d be keen to see it tagged with a nice, aggressive RRP to give it a chance against Asus’ baby. Until that day comes though it’s a second place finish and the Asus Eee Pad Transformer Prime juggernaut rumbles on. Next articleFirst Glasses-Free 3D Android Tablet with Attachable Video Game Controller By WikiPad Inc.